Looking for Adventure in Nature ? Mount Trails has the answers and the experience to make your adventure happen. Mount Trails believe the trip and opportunity is to open doors to new cultures, get lost in Nature and be inspired by exhilarating scenery. You won't get real fun in nature if you are not having an exciting and remarkable experience every time you travel around. This will open your mind to a world of adventures fun opportunities.Through our years of experience, we always work closely with some of the most respected travel and tour providers in Bhutan and Tibet. Start your journey by getting in touch with us today. Mount Trails offer unique adventure trekking in the Himalayas renowned for the best quality of service for any packages. We always believe the very best value for the money and take your safety for any aspect to make your holiday the best possible experience very seriously. We want you to remember the trip for being so much more than just a trip. Mount Trails pride on operating with small size group with best support available to make a trip truly memorable experience. This includes nutritious and fresh food, comfortable accommodation, experience and reliable field crews and the necessary medical back up. We guarantee you to make your trip an experience of a lifetime with safe and successful. Mount Trails is Ethical Mountain trekking operating leaders. we offer fair prices and the very best value for money. We work in a team so we provide the satisfied wages to our employees so that they can support their families at the same time. We always believe that our incredible field crews are the foundation of our trip programme success. 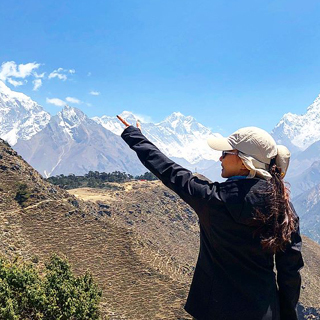 Our guides are highly skilled with tons of experiences of Nepal Himalayas, history ,local knowledge and also understanding of our client needs. Our guides are patience and supportive, great personalities and punctual on while they are on trip. 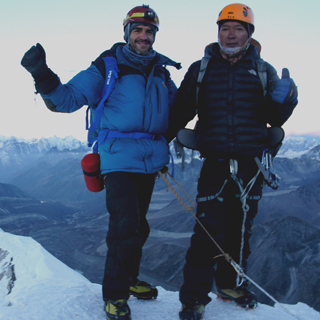 We always provide the most experienced and dedicated guides and support field crews available in Himalayas. When are travelling in high altitude adventure trekking and climbing, you won't be permitted to join the group until evidence of travel insurance and the insurance should be compulsory. Make sure your insurance covers you for your intended activity, including travel above 3,000m, mountain rescue services and helicopter costs. Altitude sickness is a risk, including on the Annapurna, Langtang and Everest Base Camp treks. Please make sure you familiarise yourself with signs and symptoms before you depart and monitor your own health during your trek. There’s a low rate of serious crime in Nepal. Watch out for pick-pockets and bag-snatching, particularly in airports, tourist areas and on buses. Travelling in Nepal whilst in peak up seasons while lots of festival is on. It can be crowded at that time and might be dangerous because there is lot of locals participate in the festival celebration. The day has been associated with physical violence and danger. You will be always advising on what places to avoid on the festival days and it may even be necessary for us to alter your itinerary for the day to avoid putting you or our team leader in high risk situation. Number of air accidents in Nepal. We only use airlines that have passed strict safety audits for domestic flights on our trips to Himalayas. We always highly recommend Buddha Air, Yeti Air & Tara Air.